For a while now I've been using Posterous in class and in training sessions to help show teachers and students just how easy it can be to create a blog. 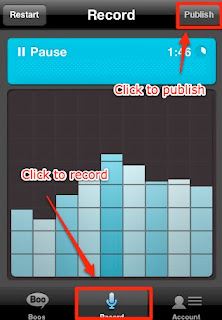 No, though with the combination of Posterous and AudioBoo, the process of publishing audio directly to the web within minutes has just got easier too. 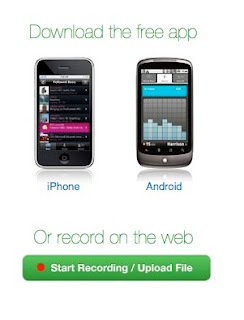 AudioBoo is a great free platform for publishing audio online. You can either go to their website and start recording straight away, or you can download a free app either to your Apple device or Android smart phone. The site really does enable almost single click publishing once you have registered and set up your profile, but better than this it can be synced with a Twitter account, Facebook profile or blogging account so that any materials you record go directly to your network. I've found this really useful, particularly as I have the app installed on my iPad. This means that I can wander round class recording my students and then click a button and have their recordings published directly to my blog with seconds. Then I can go to the blog later and build review tasks around the materials or students can go to the blog pages and comment on each others' recordings. Having this ability to instantly record and publish students' speaking can be very powerful, particularly when using a task based approach, as students are often reluctant to review and repeat speaking tasks that they have already done once. However, knowing that their speaking will be recorded and published gives them the extra motivation to repeat tasks, focus on what they have learned and concentrate on achieving a level of accuracy. Setting all this up is very simple. 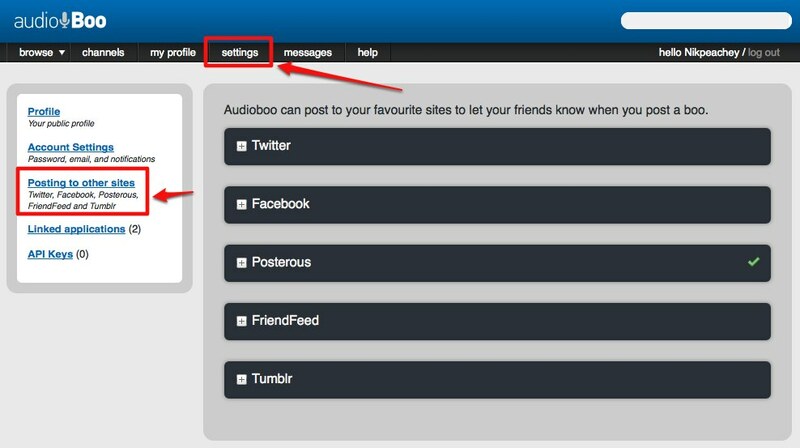 Once you have your Posterous blog account, register on the AudioBoo website, create your profile then go to settings and click on 'Post to other sites'. There you can decide which services you want to synchronise your AudioBoo account with. Then you just start recording and publishing. AudioBoo and Posterous together can help you to build a powerful and versatile publishing platform for your students work and they are both free, so why not give them a try. I hope you find them useful. Here you can find speaking activities to use EFL / ESL with students. 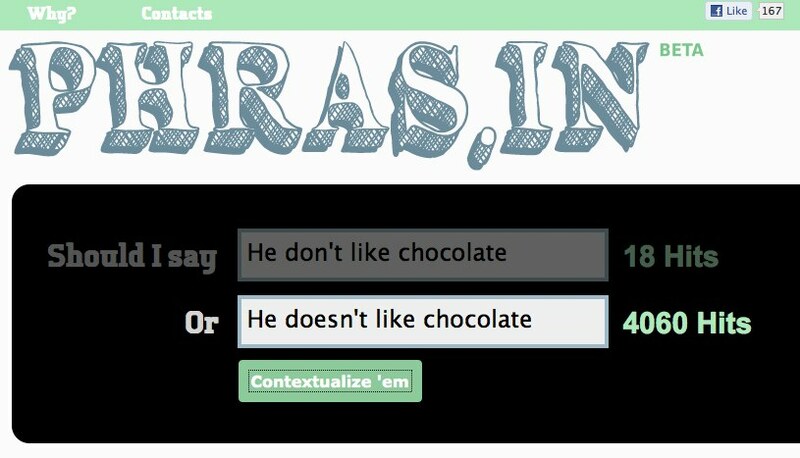 Phras.in is a really handy site I saw today that allows students to check two different ways of saying the same thing, so that they can decide which is most likely to be right. If you type the two different ways of expressing something into the two fields, the site checks these through Google and shows you which is the most popular. This is a great way to get students checking paired sentences with their common mistakes against against each other. Also great for getting them to check collocations to check that they have the correct combinations of words or how popular different collocations are. 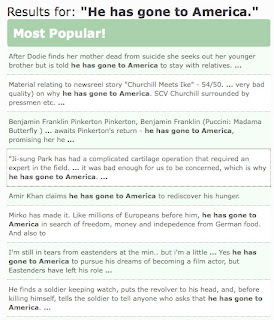 What's also nice about the site is that it shows you the context in which it found the examples, so students can reinforce their learning by seeing some examples of the phrase used correctly in context. So you could also use this as a source of authentic materials to build grammar lessons around. 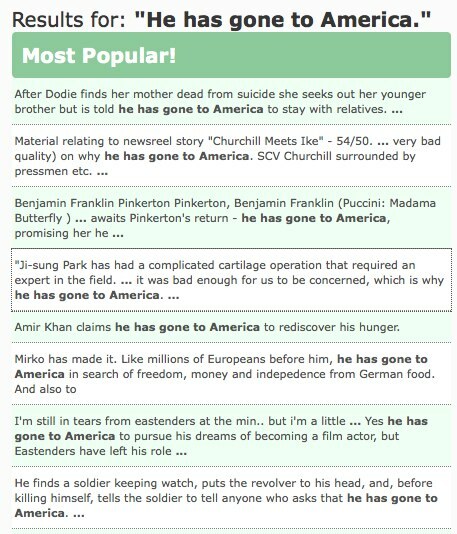 Students can even click through from the phrase the the source to find out where and how the expression was used. This is a great tool to get students editing or peer checking thier work together and to encourage more self correction. I hope you find Phras.in useful. Well like a lot of people I’ve bought an iPad over the summer and I’ve been having my first taste of shopping for apps to extend the capabilities of the iPad. I’ve also been having a look at how some of these can be used for language learning, so I thought I would share with you a little bit of information about the first few apps I’ve tried. For those of you who don’t know Forvo, it’s a marvelous pronunciation dictionary site which is collecting together audio examples of of the pronunciation of different words from languages and speakers all round the world. The app could be really handy for use in class, especially if you aren’t confident about your own pronunciation or your students want to study a particular accent. The app runs on iPhone or iPad. You’ll need to have a connection to download the pronunciation examples and unfortunately there isn’t any capability to record and upload your own examples (you’ll need to go to the website to do that), but it’s still a pretty useful tool. This app is from the makers of the popular Dragon voice recognition software and as you would expect it is designed to recognise your words and transcribe them as text. It works pretty well too, though it does make some mistakes which you then have to correct. You can correct the errors by typing in the corrections or tapping the surface where the error is and trying to say the words again. This would be a good way to get students working on their speaking skills and correcting errors in text. It’s also a very handy tool if you don’t like typing a lot as once you have created a text on it you can either copy or send it by email or post it straight to Facebook or Twitter. You don’t need a connection to use the voice recognition part, but you’ll need to be connected to share your texts. It also works best if you have an external microphone for your device. This is a really clever little app that transforms your iPad, iPod or iTouch into a remote touch pad controller and keyboard for your computer. That might not seem like such a big deal, but what it means is that once you have the free software installed on the main computer in your classroom, any student that has Air Mouse on their mobile device can take control of the computer, write or draw on the board and interact with your learning materials without leaving their seat. This duplicates a lot of the functions of an interactive whiteboard and slate, so it might also save some money. There’s a free version and a pro version. The app runs through your wireless connection. Flipboard is my favourite app so far. It is a type of feed reader for the iPad. The really great thing about Flipboard though is that it converts the feeds into a magazine type format that you can then easily browse. This is particularly useful for feeds from things like Twitter, which can be very reader unfriendly and I’m now getting a lot more information a lot quicker from Twitter than I previously was using a desktop based app. So this is a great app for keeping up with your PLN as well as finding images and text to use in class. Flipboard is also free, so that’s another big bonus, but you will need a connection while you are using it. This is an app that has been developed to support the website (or could it be the other way around) MeeGenius contains a collection of illustrated books for primary level kids. The books have audio accompaniment and words are highlighted as the kids listen. Great to get younger learners reading and listening in English. The app isn’t free but it’s very reasonable priced (especially compared to buying the books) and it contains 12 free books 6 of which are ready installed and 6 more that you need a connection to download. If you want more books after that you can buy more. This is a handy app that allows you to add audio to images or sequences of images and then export them as video files. There is a free version that allows you to create videos of up to three images and 10 mins recording time, or you can buy the pro version and make unlimited sequences. This is really handy for grabbing screen shots from your iPad or iPhone and adding audio to them or for adding audio to photographs. 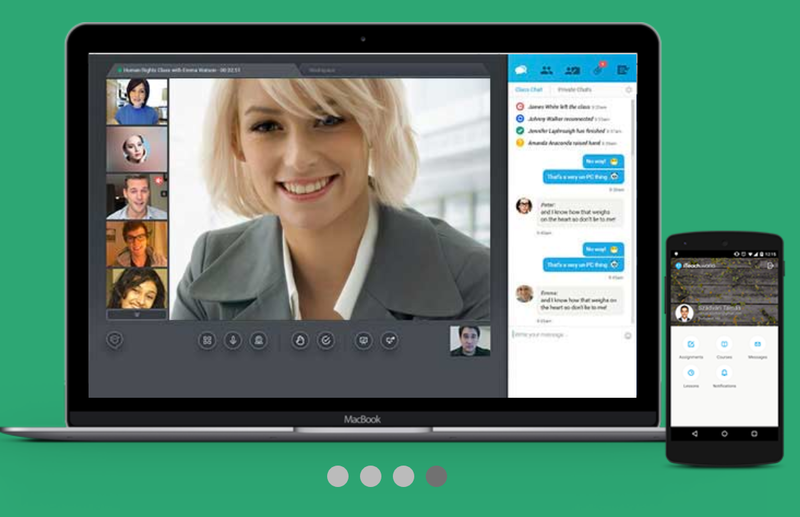 Describing pictures and images is a handy way of getting students to practice their speaking and the videos can then be exported for sharing. I hope you find some of these apps useful, and if you don't yet have an iPad, I hope they give you some idea of the enormous potential that these tools have.